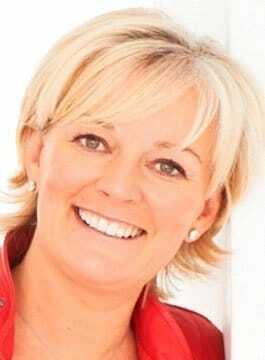 Jo Malone CBE is the founder of one of the world’s leading fragrance brands. Jo opened her first store in 1994 at 154 Walton Street, London. The store was unique, recreating the atmosphere of a French perfumer’s studio. Jo created a handful of scents revolutionary in their discerning simplicity and has since become a name internationally synonymous with all that is most coveted in British style. The Jo Malone Studio orchestrates a world of bespoke luxury that is inspired by, and immersed in, modern British culture, curating collaborations between world-renowned master perfumers and London’s leading creative talent, from Savile Row to Sloane Street. October 25th 1999, was a landmark occasion for the Jo Malone brand, when Estée Lauder announced the acquisition of Jo Malone. Jo remained Chairman, developing products and constantly challenging convention by introducing revolutionary concepts which helped to firmly establish Jo Malone as an innovator within the beauty and lifestyle industry. Jo spearheaded the worldwide positioning of the Jo Malone brand until January 2006 when both she and her husband Gary left the business. Jo has been honoured with an MBE for her services to the beauty industry and a CBE for services to the British Economy and the GREAT Britain campaign. In 2010, Jo presented a four part series for BBC One ‘High Street Dreams’. Conceptualised by Jo herself, the series saw her back in the tough world of retail using her business experience and entrepreneurial spirit to help small businesses realise their dreams of trading on the great British high street. The show successfully helped to create six new British Brands. In 2011 marked new business beginnings as Jo announced the launch of Jo Loves… her new fragrance brand which captures the things in her life that inspire her, from ingredients and people to moments in time. As a keynote speaker, Jo can focus on topics such as Entrepreneurship, Marketing, Retailing and Branding.